I have been a fan of the Columbia 38/Constellation for years. The nicely balanced overhangs and lovely sheer make for a very good looking boat if you like the classic look. 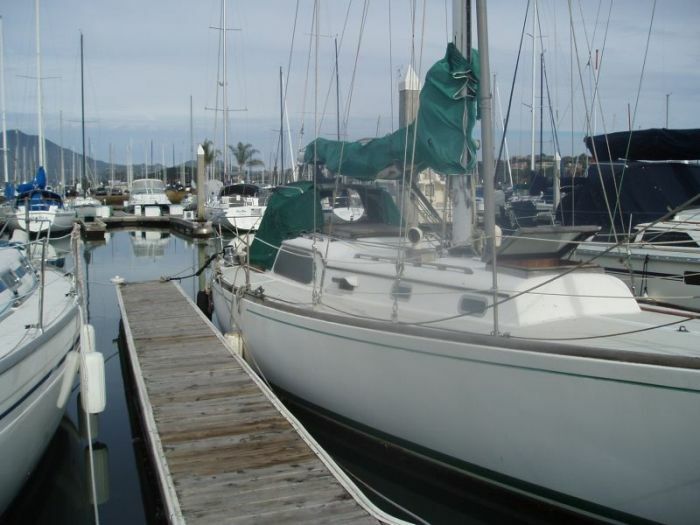 It is a variation of the Columbia 40 designed by Charlie Morgan off his “Paper Tiger . 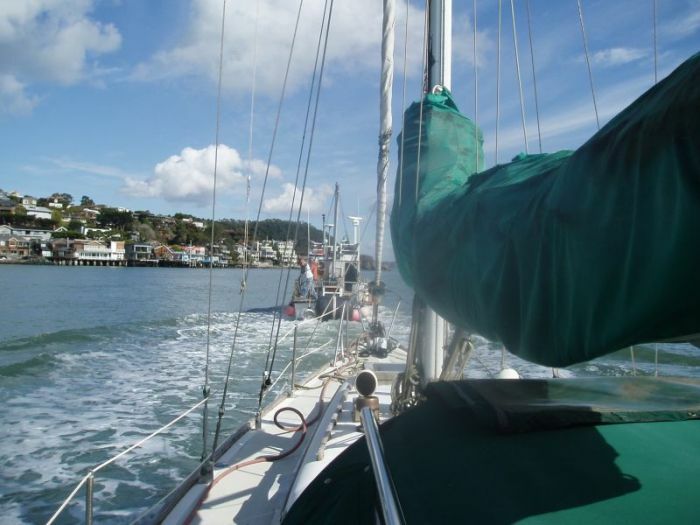 Instead of the full keel it has an almost fin keel with a spade rudder. There were only 39 of the 38's built and only 7 Constellations. The Constellation has a Columbia 50 deckhouse but the hull is the same as the 38. You can go to the Columbia Yacht Owners web site and click on model information to get what little information is on line. 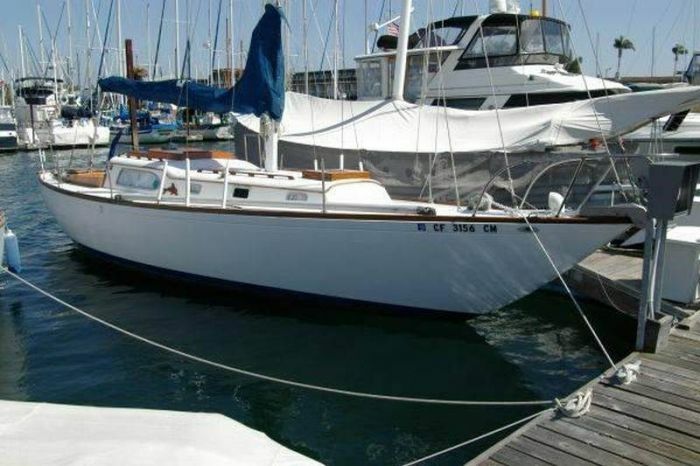 Here is a picture of "Gaviota" a Columbia 38 in San Diego. A well maintained “Classic Plastic” showing off the Columbia 38's fine lines. In early November of this year (2012) I was planning on going to the East Coast to look at and probably purchase either a 38 or a 40. A couple of days before leaving I was doing a search of Columbias on the west coast when a very used 38 popped up in Sausilito. A quick change of tickets and 9 days later I was back home in Alaska having looked the boat over, bought it moved it to Napa Valley Marina and had it hauled. On returning to Alaska I let my son Thomas pack my pickup with tools, prefabed sawhorses, some cedar strips for ceiling in the forward berth and quarter berth and I left at the end of the month on the Alaska State Ferry "Columbia" for Bellingham and Interstate 5 and the drive down to Napa. 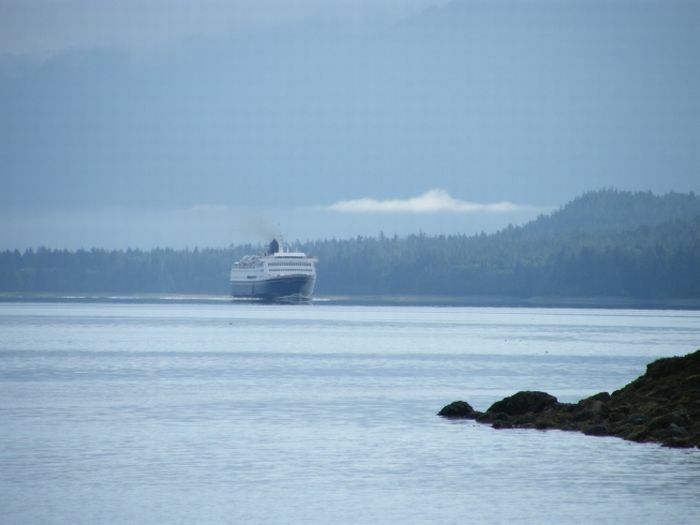 I first came to Alaska on the "Columbia" in 1975 when she was brand new. She is still a nice ride and Queen of the fleet.